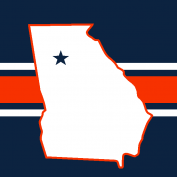 These are turning out pretty nice, especially the update on the Falcons! Diggin that Jags helmet. Good job with this series. Just found this thread and all of them are pretty solid. Do you think you'll possibly do full uniform concepts or just continue with helmets? I just did the helmets. 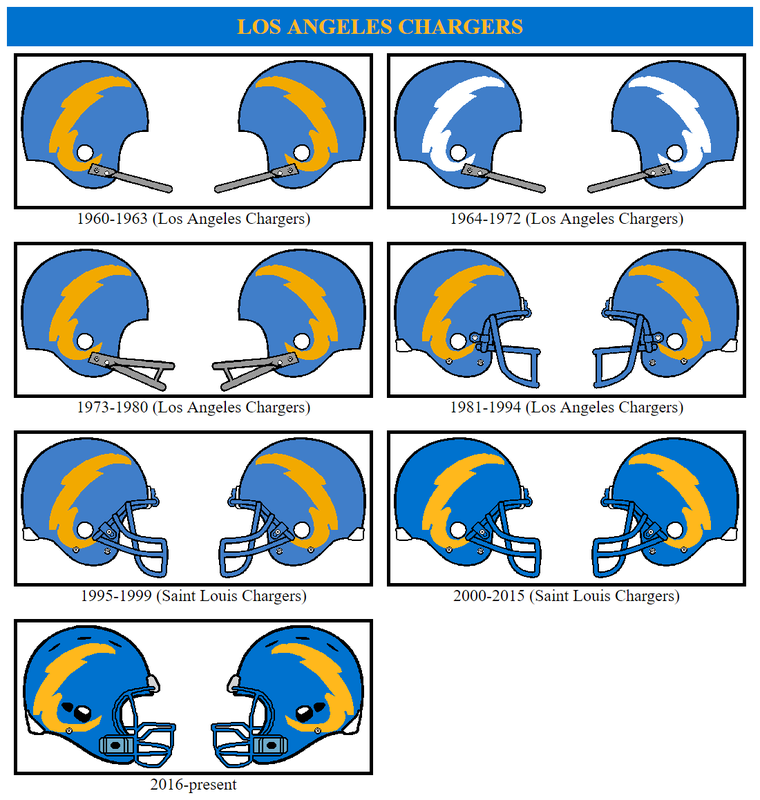 The Chargers were a pain because, when they announced thier relocation to Los Angeles, I had to the adjust some of the mashups. Originally, I had the Chargers as the Chiefs. The changed logo was a lightning bolt with SD. I also had the Redskins as the Chargers. I had to move them both, because there was no way LA would have 3 teams while DC had none. I initially tried to use the Chargers bolt logo shaped into a c, but never could it look right. So, I modified a lightning bolt font. I know the "C" should be flipped on the right helmet, but I didn't like the way it looked. So, I kept the mirror look. To avoid having more than two teams in LA at a time, I had to delay the Rams until the late 90s. I think the logo changes are pretty obvious, substituting the horns for the wings on the shield, R for B, and a ram head profile for the bird. When I first started assigning teams, the Broncos stand-in was going be either Buffalo or Miami with the other being the Patriots stand-in. As seen above, I chose Buffalo for Denver. 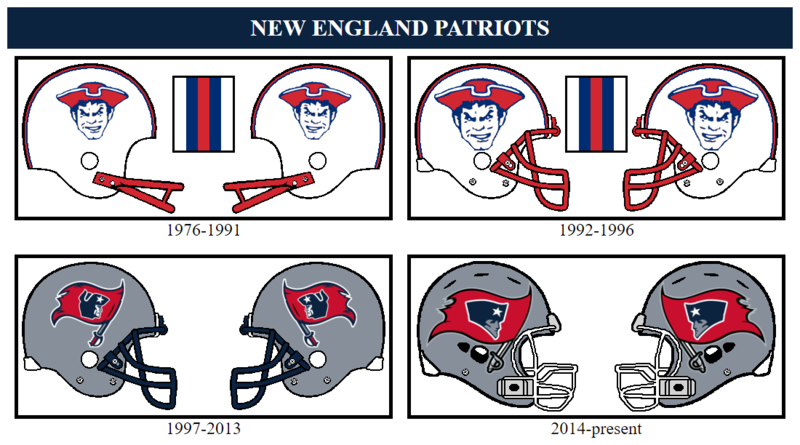 I used a dorsal fin for the 1960 Patriots hat logo which I'm not sure that it works. 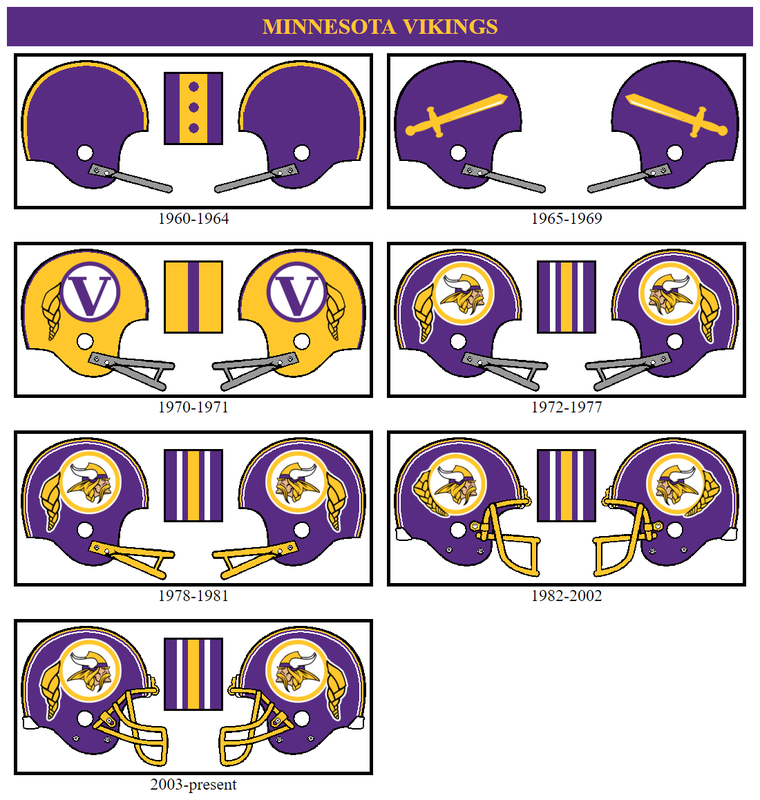 I think the only logo that requires explanation for the Vikings/Redskins is the first one. The 1960 Redskins helmet used a feather as stripe. I substituted a riveted comb for it. I couldn't come up anything else. Texans - Something seems off on this one, I can't really put a finger on it. I think that maybe the Titans logo just isn't the best option for the logo switch. I think you could do something with a team that uses an animal mascot as their logo. I would try the Bears and use the star shape from the Chicago flag as the eye; I think that would look pretty decent. Yea, I never warmed to Texans/Titans mashup. Here is the original "oil drop" logo. I think it looks a little better vertical than diagonal. I've also included the original brand logo. Some of these are really interesting. For the flag logos, I originally went a modified version of the Flag of New England. It was only at the last minute did I swap the patriot heads in for the skulls. The idea here is matching headware worn by their respective nicknames (realistic or not). 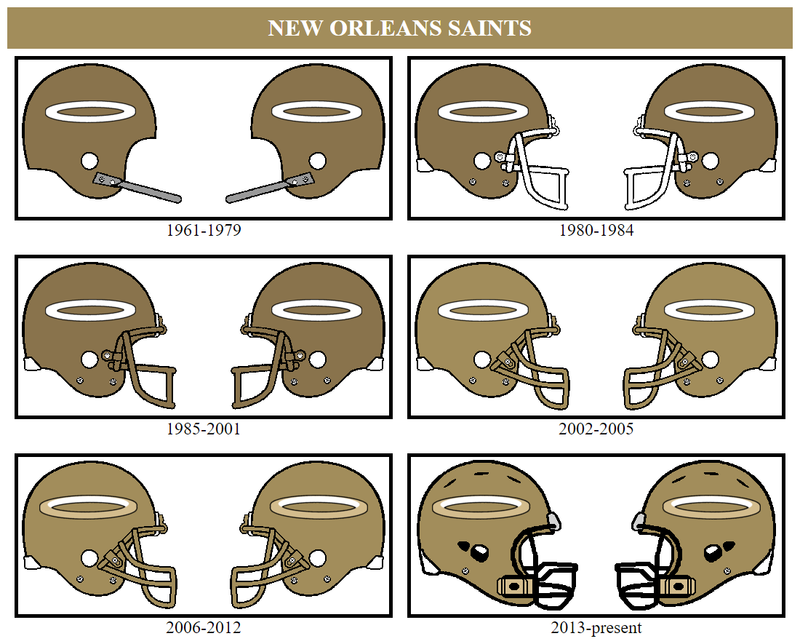 So, I switch the viking horn for a saint's halo. As to why I went with the gold instead of the black. Well, New Orleans hasn't used shades of black that I could match up with Minnesota's shades of purple. 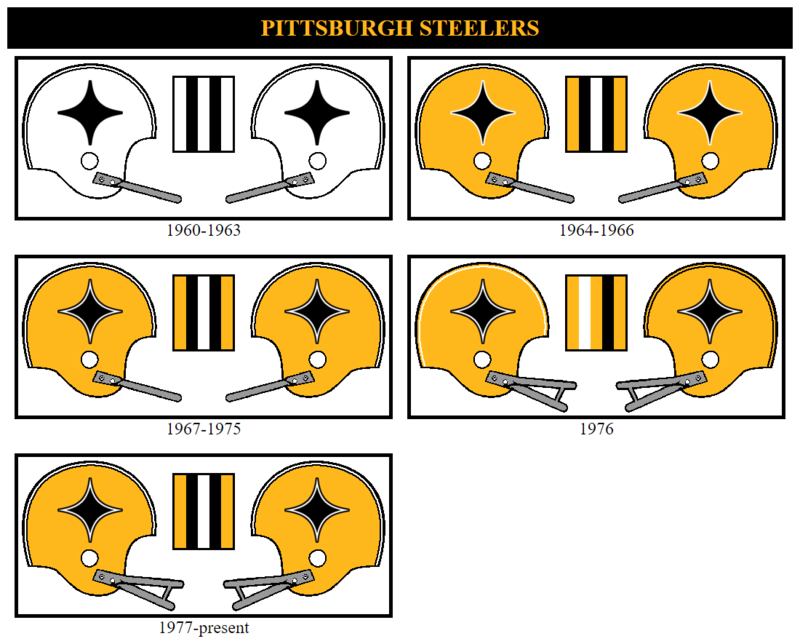 However, they did altered the gold color over the years. 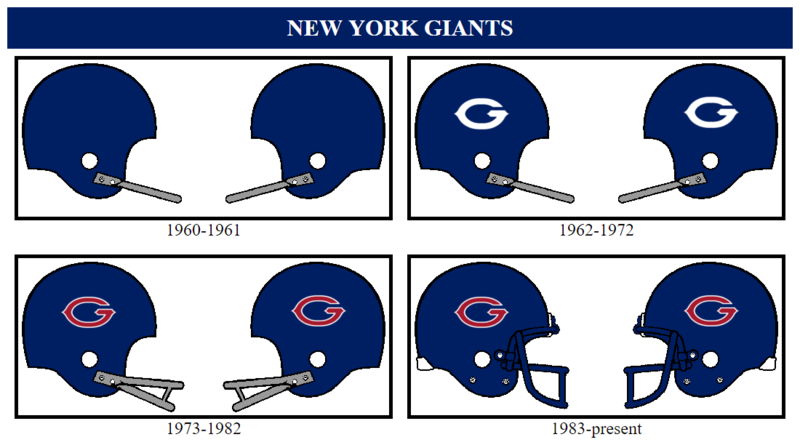 Pretty basic swap, I just converted the "Chicago C" into a "Giants G". The Jets were another interesting problem. Due to their nickname, they couldn't be founded before the late 1940s. So, that eliminated any team founded before 1945. I couldn't sub them for SF as I thought the logos were too close in design. IMO, the shenanigans that went on with Cleveland wouldn't happen with a New York club. After the AFL-NFL merger, I cannot see the Giants allowing any team to invade "their territory". So, any team that relocated was eliminated. In addition, any upstart league is going to need a franchise in NYC, just establish legitimacy (and of course TV rights). 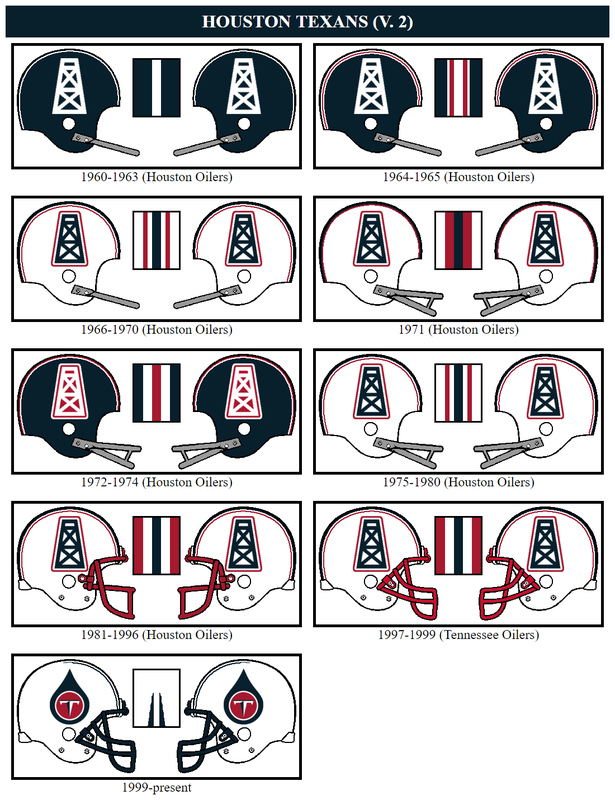 So, that limited me to the eight founding AFL teams. New York was eliminated obviously. Any team that relocated was like was eliminated (Oilers/Titans, Texans/Titans, Chargers, and Raiders). This left the Patriots, Broncos, and Bills. I couldn't matchup elements of either New England and Denver with the Jets. So, I ended up with the Bills. So, I went about with swamping buffaloes with jets. Buffalo's original uniforms were old uniforms Detroit Lions uniforms. 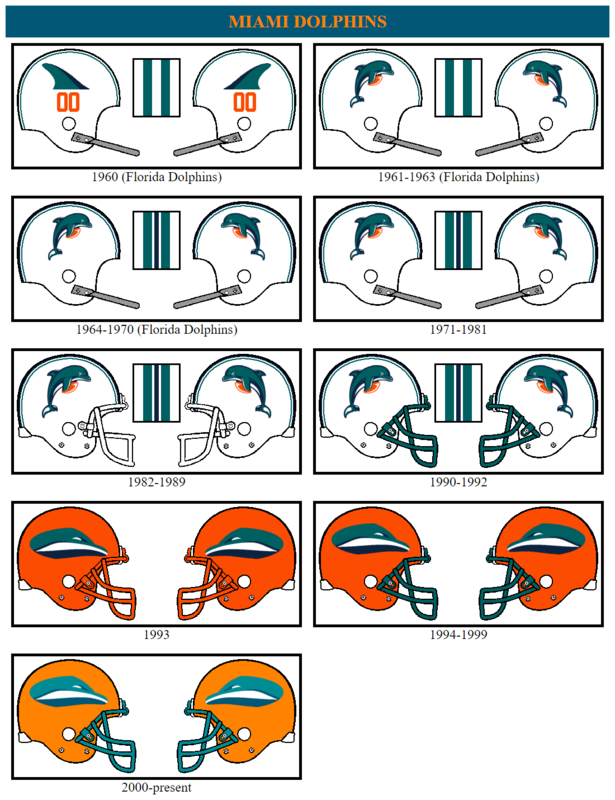 Since in this reality Chicago is Detroit, I used their colors to simulate the original helmets. Initially, I was going to just use a shield as their logo, but I realized it would be to close the whichever team used an adapted version of it. I settled on using the crossed swords. 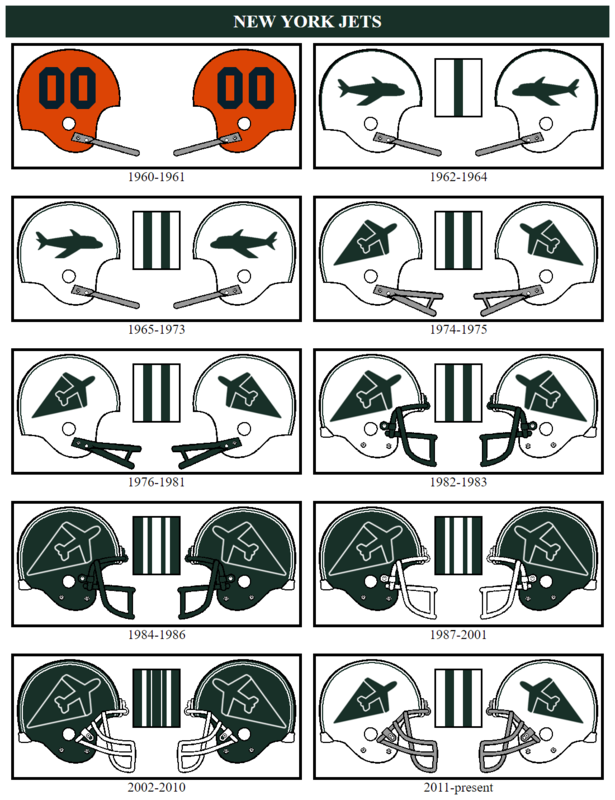 The only other team that uses crossed swords is Tampa Bay and I didn't plan on using swords with the Buccaneers. Again, not much originally here. 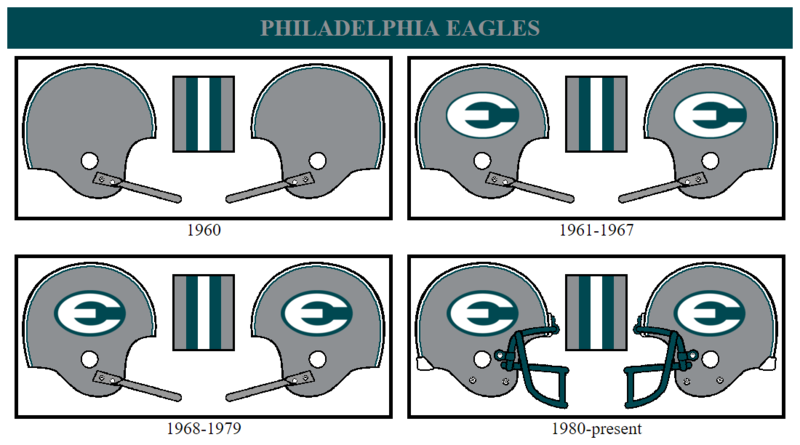 I simply converted the "Packers G" into the "Eagles E". I always found the steelmark very star-like. So, I thought it was no brainer to use in place of the Cowboys star. The 49ers name, like the Texans, doesn't make any sense anywhere outside of California. So, I was a little limited in which teams I could swap them out for. 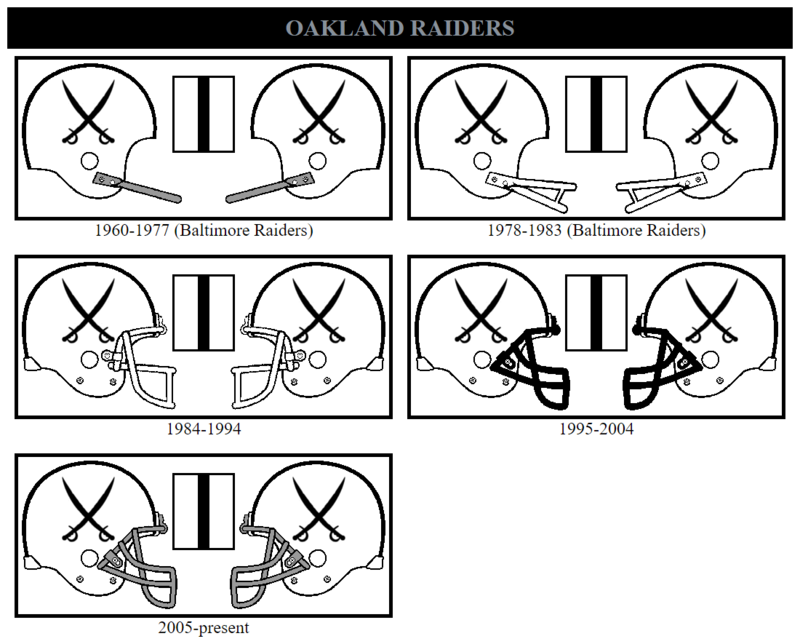 In addition, I had to figure out how to end up with two SF Bay area teams. Oakland moving to LA in the 80s helped with this problem. Once they left, the "Baltimore Raiders" could move into the area with worrying about territorial rights. 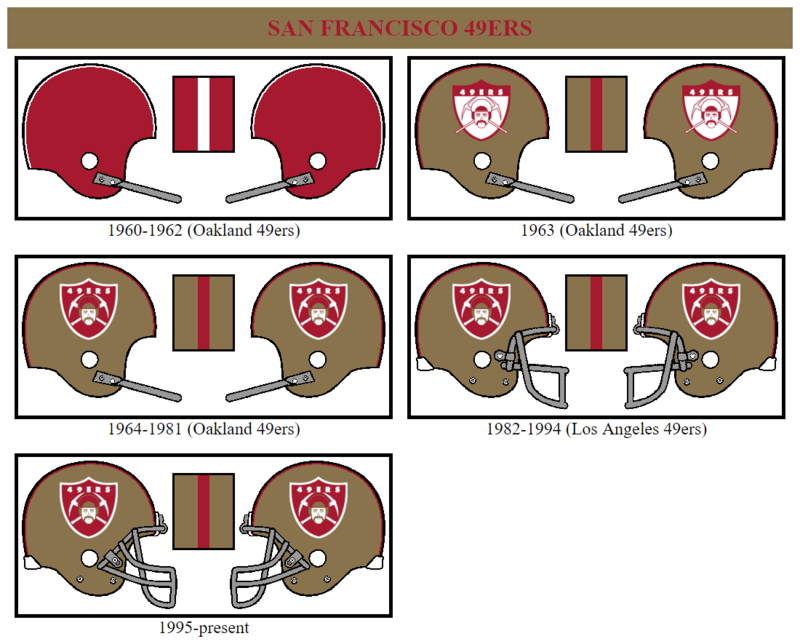 The "LA 49ers" could return after leave as the "Al Davis" analog would have never given up the rights to the area. Not a perfect solution, but I thinks it works. For the Seahawks, I tried to mimic the fish and sun with a bird and sun. For the sun, I took inspiration from the Native designs of the Pacific Northwest. 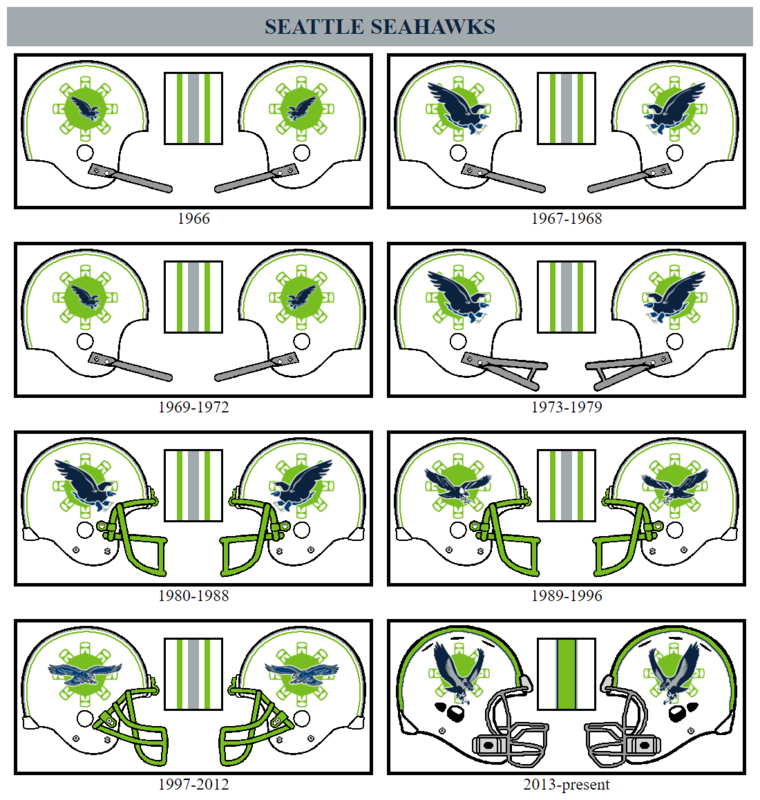 The birds are adapted from various both Seahawks and Eagles logos. Not sure, if the colors work. 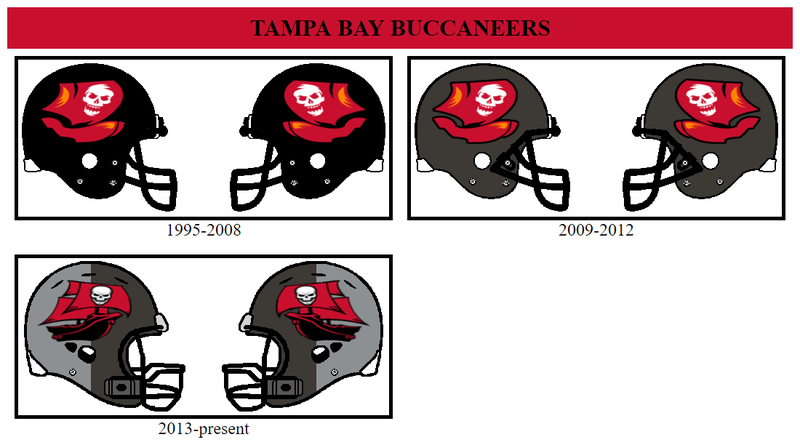 My plan was to the skull from the Bucs logo in place of the Jaguar head, but I didn't like the design I came up with. I've always liked the Bucs secondary logo. So, I tweaked the ship. Still not completed satisfied, the full ship might better.